Whether you want a quick, city getaway or you are looking for a couple of weeks in the sun and sand, there are multiple destinations within your price range. Here are five tips to cut the cost of traveling for your next trip! If the best part of traveling is the ability to go anywhere, then is the worst part having to decide where to go? Thankfully, your budget can stretch to multiple destinations by using travel savings and discounts. Smaller getaways may include a weekend trip, local destinations, or using last-minute flight and hotel deals. Longer summer escapes, destination cities, and cruises may be best booked as a package to help you receive the best rates. Thankfully, sites like Expedia.com can help you book your next vacation with ease. Linked with over 240,000 hotels worldwide, Expedia also offers deals on airline tickets, cruises, and car rentals. Other perks include daily top deals and trip planning, with featured hotel and flight discounts, popular tourist destinations, and a listing of hotels with ratings and the average per night cost to stay. Flight destinations include New York City, San Francisco, Boston, Las Vegas, and Los Angeles, as well as Paris, Sydney, Vancouver, and Toronto. If you have children, consider a Disney Parks package or a kid-friendly cruise. Other cruise options include the Caribbean, Mexico, Hawaii, and Europe, with more cruises leaving from cities including Baltimore, New York, Galveston, and Baltimore. Wherever you decide to travel, make sure your destination is reputable. In addition to the information found through your booking agent or travel site, look for other signs. There are many ways to make sure your destination’s reviews are both reputable and reliable. Expedia coupon codes give you access to limited-time, specialty offers such as $200 off a 5-night package or a $70 per person, per day Disneyland Park Hopper Ticket discount. Check back often, as these offers are typically seasonal and may expire as soon as the end of the month. Expedia boasts daily flight deals, but check out Huffington Post for more ideas on getting a cheap flight. Many Expedia promotions do not require a coupon code, giving you access to an incredible amount of discounts. Last-minute savings, deals in a particular destination city, and “kids stay free” discounts are all common examples of what Expedia offers. Booking a hotel can often be the most expensive part of your trip. Thankfully, Expedia helps you access savings on rooms which are often deeply discounted at the last minute. With 30% off hotels in Las Vegas or 40% in Puerto Rico, it may suddenly be possible to add a cheap flight and make a mini-vacation. Resort credits are also common, and some cruise bookings include hundreds of dollars worth of onboard credits. Finally, check out mobile app savings and Expedia’s own double points program to help make a luxurious getaway affordable. As you prepare to book your trip, the Huffington Post has expert answers to 10 of the most common questions about traveling. You can easily earn up to 4.0% cash back on your purchases by using Expedia coupons from Ebates. These cash back rewards are in addition to the multiple Expedia coupon codes and daily deals, compiled and combined to help save you money. You can earn 4.0% cash back when you book special rate hotels, 2.5% back when you purchase Expedia activities, 2.0% back when you book an Expedia package deal, and 1.5% cash back when you shop for hotels and rental cars. In addition, you get easy $25 cash back when you book a cruise and $1.25 back on flight bookings. Expedia’s ASAP deals may offer you even more in savings! Event tickets are not eligible for cash back, but, as you can tell from the list above, it is simple to earn money back on everything else you book. Any cash back you gain will be posted to your account after you travel, so you can easily see how it adds up. By now, you can probably feel the ocean’s breeze or warm sand. Planning for a big trip can be exhausting, so consider booking a package deal to make things easier on yourself. 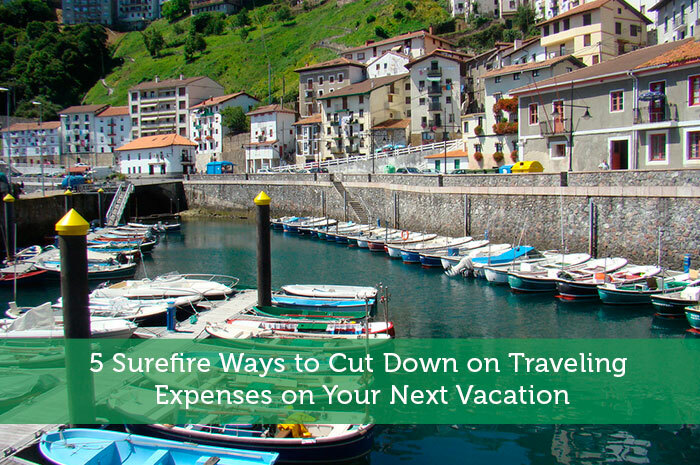 You will save time and money while eliminating the extra hassle from your vacation planning. Special Expedia summer destination deals include discounts on trips to Hawaii, San Diego, Bermuda, Puerto Rico, and more. No matter where you choose to go, help make your trip stress-free by booking at the best price you can find through a reputable travel site. Also check out these travel hacks.